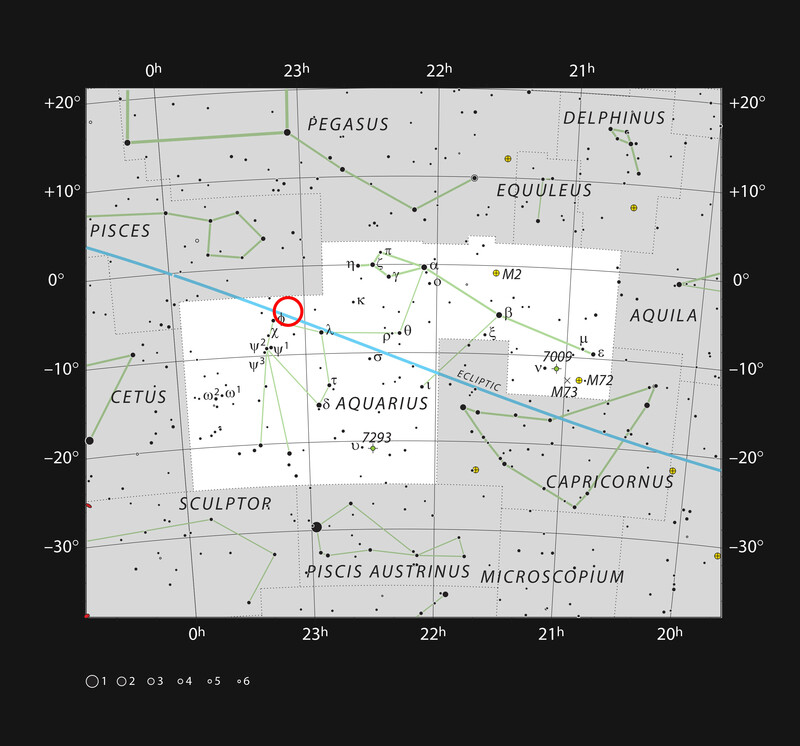 This chart shows the naked eye stars visible on a clear dark night in the sprawling constellation of Aquarius (The Water Carrier). The position of the faint and very red ultracool dwarf star TRAPPIST-1 is marked. Although it is relatively close to the Sun, it is very faint and not visible in small telescopes.